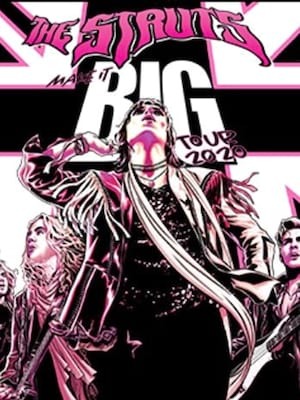 Celebrating the release their second album, Young & Dangerous, in the fall of 2018, The Struts welcome more sing-along anthems and riff-heavy melodies that their fans know and love them for. With their lead single Body Talks hitting the top of the charts, Young & Dangerous saw the band hitting the top 20 in the US Rock Charts. With their fan base continuously on the rise, The Struts are the ones to watch this summer. 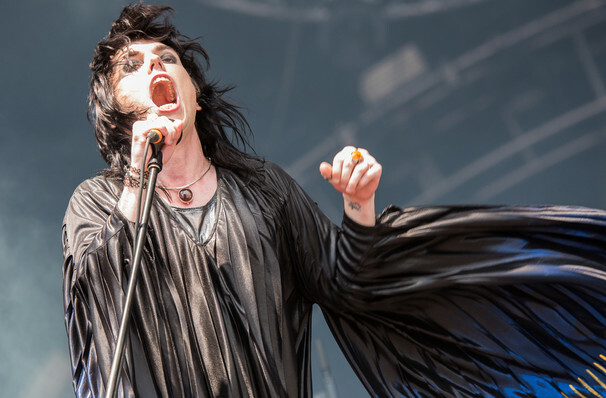 Compared to fellow Britons The Darkness for their no-holds-barred, over the top style, The Struts also conjure the hedonistic times when rock and roll was king. Frontman and founder Luke Spiller takes to the stage as if he were the re-incarnation of not only Robert Plant but Mick Jagger and David Bowie to boot, filling each driving bacchanalian anthem with hip-shaking swagger, conviction and powerhouse vocals. Sound good to you? Share this page on social media and let your friends know about The Struts at 9:30 Club. Please note: The term 9:30 Club and/or The Struts as well as all associated graphics, logos, and/or other trademarks, tradenames or copyrights are the property of the 9:30 Club and/or The Struts and are used herein for factual descriptive purposes only. We are in no way associated with or authorized by the 9:30 Club and/or The Struts and neither that entity nor any of its affiliates have licensed or endorsed us to sell tickets, goods and or services in conjunction with their events.